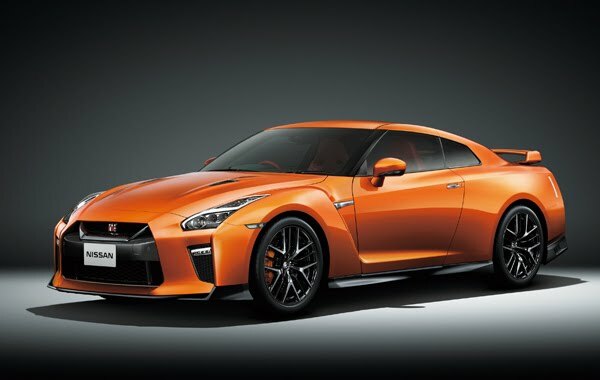 GT-R Premium edition. Privacy glass <rear quarter, rear> is the manufacturer's option. GT-R Premium edition. Interior color Tan <Z>. Privacy glass <rear quarter, rear>, fashionable interior (dedicated interior color: tan, front seat and rear seat semi-aniline leather seats) + Nappa leather instrument panel + leather-wrapped steering wheel (Tan) + Tender dimple Kawamaki shift knob ( black / Tan) + door grip color (tan), SRS side air bag <driver's seat, the front passenger's seat> & SRS curtain air bag manufacturer option. ※ screen is Saddle inclusive synthesis.